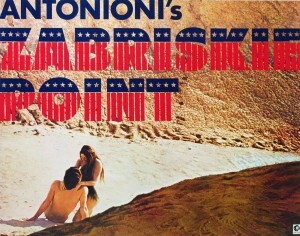 Antonioni’s “Zabriskie Point” at the cinema. After the 1966 film Blow Up became a surprise box office hit, and especially after the commercial and critical success of Easy Rider in 1969, Hollywood was desperate to grab ahold of the zeitgeist and jump on board. And so Italian film maker Michelangelo Antonioni was invited by MGM to go over to America and make a movie for them. This is what he presented them with. Traditionally, Zabriskie Point (’70) is seen as the second and by far the weakest of Antonioni’s English language trilogy. 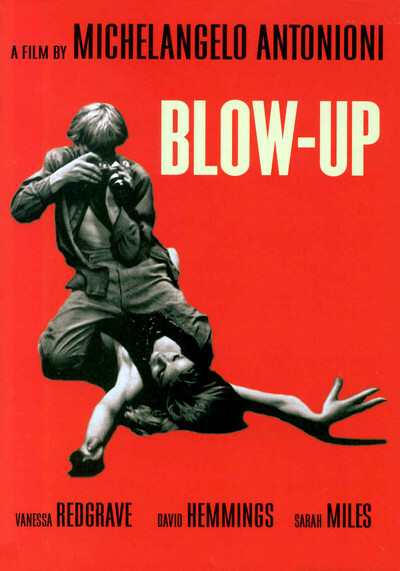 An unfortunate and uncomfortable trip to America in between the twin masterpieces of Blow Up in ’66 and The Passenger in ’75. That’s certainly how I would have regarded it before seeing it again in the cinema this week. And that I think is the key, you really do have to see this film in the cinema. It’s a revelation. Whatever about the critical pasting that it got at the time, it’s not hard to see why it bombed at the box office. It’s exactly the kind of fractured, anti-narrative portrait of counter-cultural disgust for conventional bourgeois capitalism that you’d expect from the darling of the European avant garde. In other words, it’s exactly the kind of film Hollywood would have claimed it was looking for. As ever, be careful what you wish for. 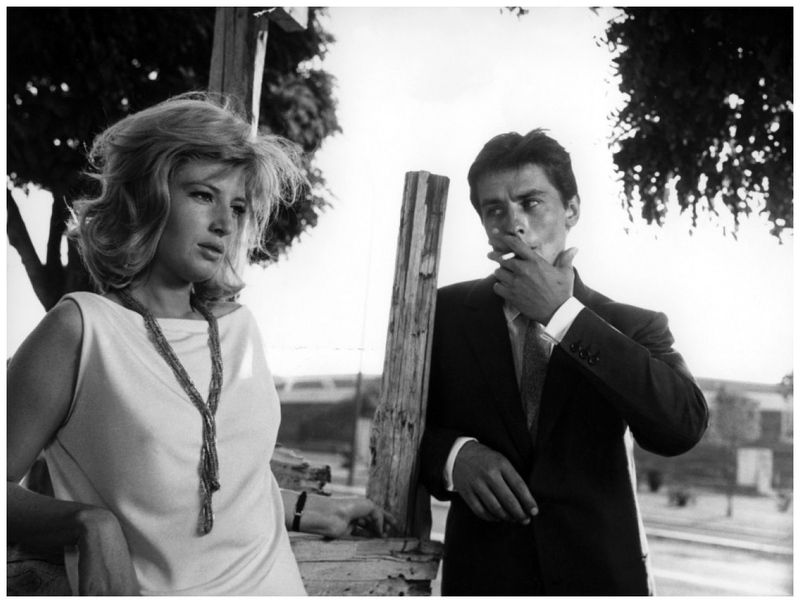 Monica Vitti and Alain Delon in L’eclisse. The reason that it makes for such remarkable viewing today is not because it offers up such a fascinating snap shot of Los Angeles as the idealism of the 60s became subsumed by the nihilism of the 70s. Although it is definitely that. Rather, it’s the combination of Antonioni’s exceptionally measured and carefully constructed compositions in a film that invites contemplation at the expense of a conventional story. Many, indeed most of the shots are long lens, but in close up. So, say, a man sitting at a desk will lean forward, thereby going out of frame, before coming back into frame as he changes position in the chair once again. What results is a hyper awareness of the frame and of the very tactile nature of film, as in celluloid. You can feel the texture of the images as they unfold before you. And the experimental soundtrack, both the use of sounds, and the music of Pink Floyd, the Stones and Roy Orbison accentuate and compliment the images as they reveal themselves. The Monica Vitti trilogy of L’Avventura (’60), La Notte (’61) and L’Eclisse (’62), together with the other two films from the English language trilogy, Blow Up and The Passenger, are conventionally understood as Antonioni’s masterpieces. Zabriskie Point can now also be included in that august list. It confirms Antonioni as one of the two most important film makers to have ever worked in the medium. The other of course was Bergman. And they both died on exactly the same day in 2007, on July 30th. But, and I hate having to say this, you really do have to see it in the cinema. You can see MGM’s trailer for Zabriskie Point here. Groovy. 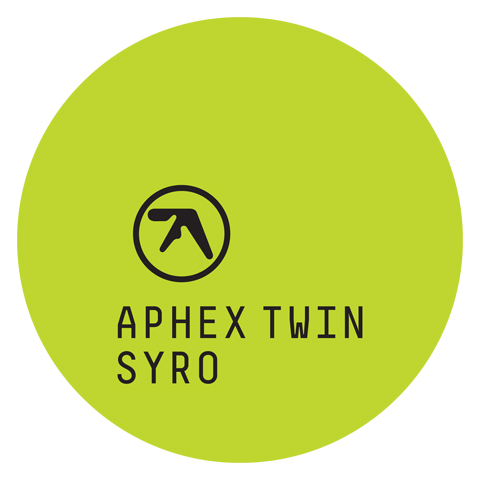 “Syro”, disappointingly safe new album from the Aphex Twin. 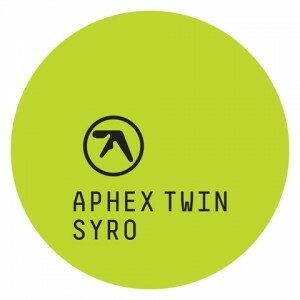 Syro is the much awaited new album from the Aphex Twin, and the first official release from Richard D. James in 13 years. 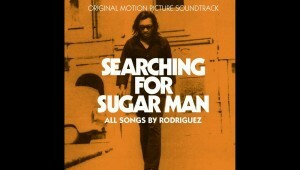 James is to electronica what Martin Luther King is to the civil rights movement. His is the name that shall not be taken in vain. But being asked to listen to an Aphex Twin album devoid of the new is like being invited to listen to a Simon and Garfunkel album denuded of harmonies. New is what he does. I suppose it’s inevitable that a music so inexorably linked to the technology that produces it is destined to become redundant in the blink of an eye. What would you think about being offered a brand new ten year old mobile phone? Nonetheless, it’s impossible not to feel monumentally underwhelmed by an album that sounds and feels so safe. And conventional. 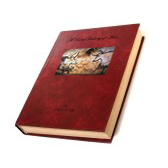 When it comes to the act of creation, emotional depth and peace of mind are inversely related and can be mapped mathematically. Art is the product of pain. 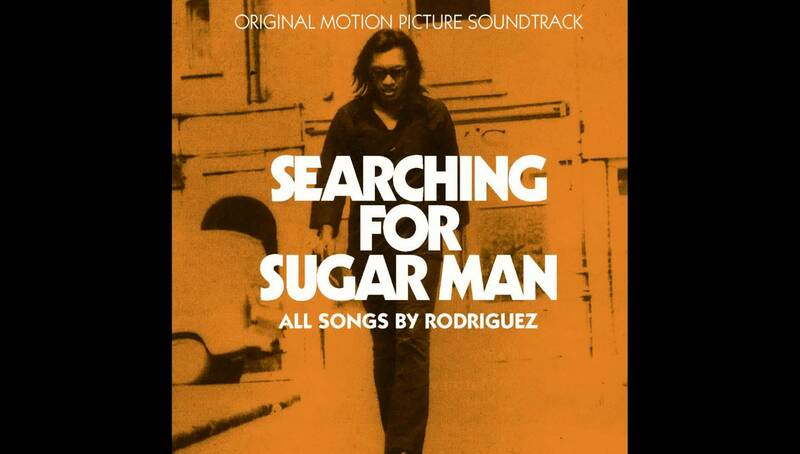 So one can only hope that James is as happy and contented as this album suggests. There’s nothing wrong I suppose in producing a new album of greatest hits. 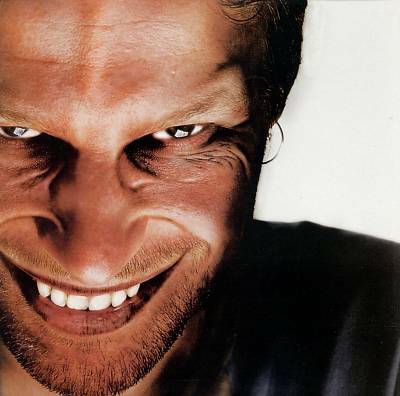 But if this is your introduction to the Aphex Twin, you should probably start off with 26 Mixes for Cash from 2003. In the meantime, here’s something to put hairs on your chest. It’s the video for the title track to the 1997 ep Come to Daddy, directed by Chris Cunningham. 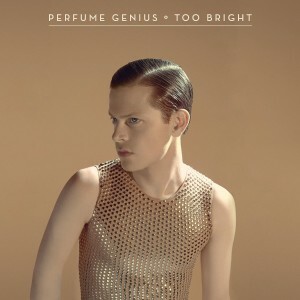 And here’s a track from his new album Syro. “The Gatekeepers” an Amazing Window on Israel. Ami Ayalon, now in the Israeli Knesset. In the week when the new Swedish government announced its intention to recognize the state of Palestine, and after the back bench British MPs made a similar show of public support, last weekend’s screening of the BBC Storyville documentary The Gatekeepers made for timely viewing. This is one of those films that you feel you ought to watch, rather than one you actually want to see. And like so many of those, it turns out to be absolutely riveting. 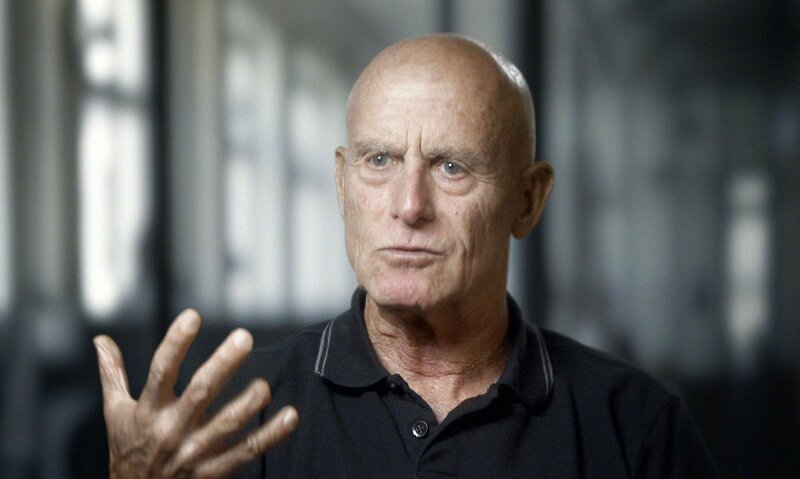 Directed by the Israeli Dror Moreh, who was inspired by Errol Morris’ extraordinarily revealing interview of Robert S. McNamara for The Fog Of War, The Gatekeepers is an extended interview with the last six heads of the Israeli secret service, the Shin Bet. Remarkably, it’s every bit as revealing as the film that inspired it. For the last 35 years, these six men have been in charge of Israel’s internal security. And watching them grapple with their consciences whilst bemoaning the refusal of leaders on either side to seriously engage with their opposite number was fascinating, depressing and ultimately somehow hopeful. If only, you couldn’t help but feel, it had been some of these men who’d been running the country instead of the ones who were actually elected. One of them has indeed now joined the Knesset. We can only hope. The message from all six of them was unanimous. We must engage. We need to talk. You can’t secure the state of Israel without acknowledging the fate of the Palestinians. 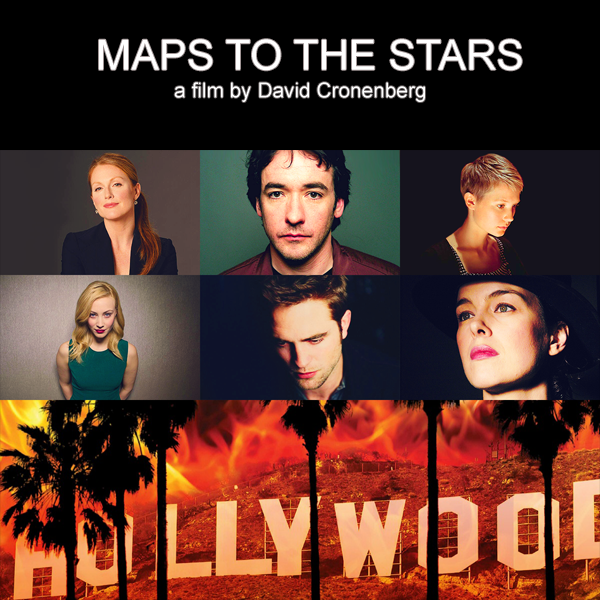 This is yet another in an ever more impressive rostra of docs form the Storyville team. 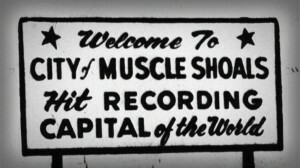 If you haven’t already, watch Searching for Sugar Man (reviewed earlier here), Muscle Shoals (here) or the amazing and sobering The House I Live In (here). In fact you can pretty much watch any one of their films. 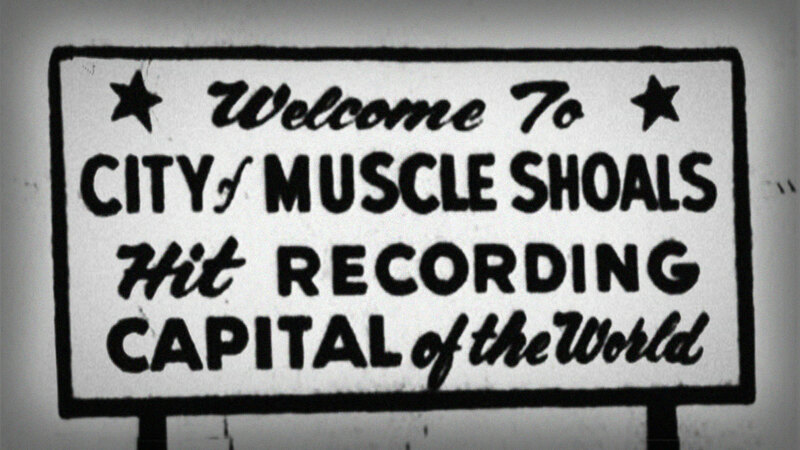 It’s the most consistently impressive strand of documentary film making anywhere in the world. You can see the Gatekeepers trailer here.